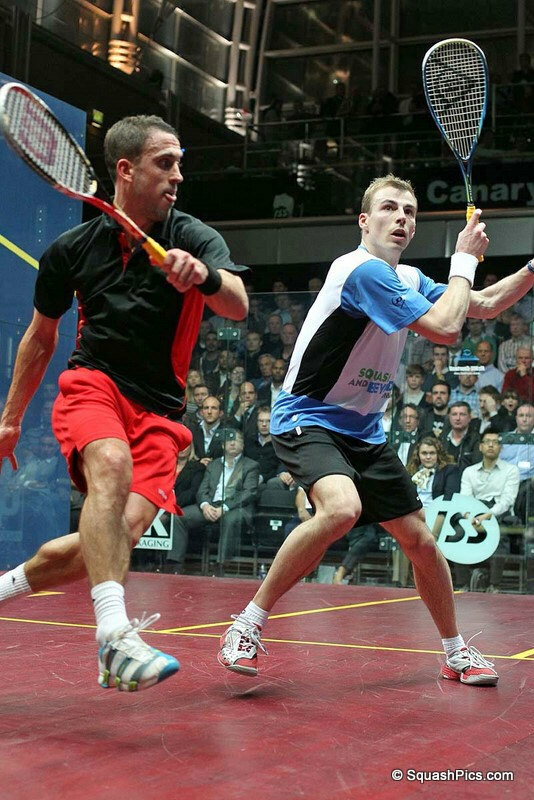 Bitter rivals Nick Matthew and James Willstrop will clash in the final of the Canary Wharf Classic after negotiating physically challenging hurdles in the semi-finals. 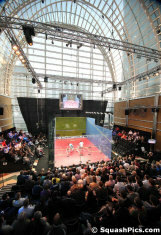 In two pulsating semi-finals before a sell-out crowd at the East Wintergarden venue, Matthew took 83 minutes to overcome England team-mate Peter Barker, the number three seed. 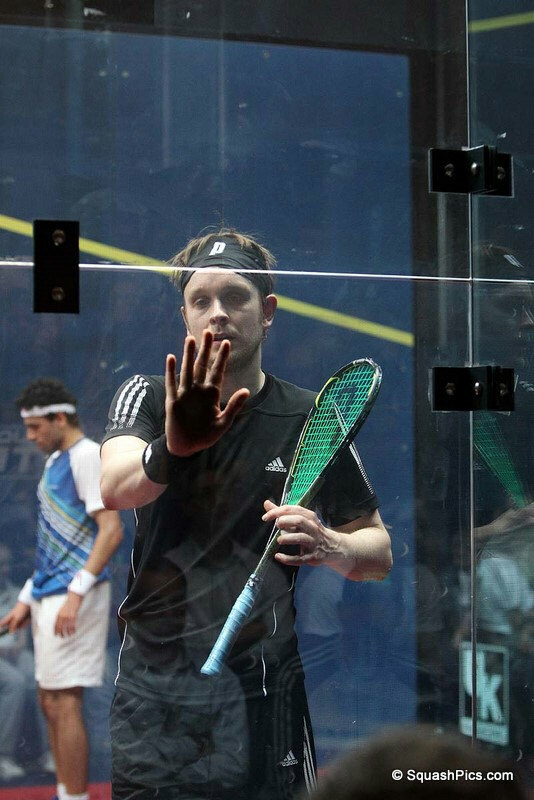 Willstrop then withstood a ferocious onslaught from hard-hitting Egyptian Mohamed El Shorbagy before winning 3-1 in 61 minutes, his shortest match of the week after two brutal battles against Saurav Ghosal and Tarek Momen. 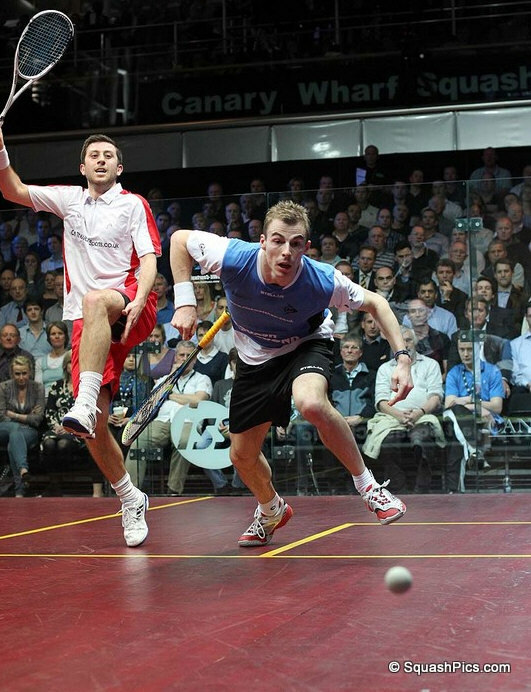 In a repeat of last year's final, Matthew started slowly against a determined Barker but fought back to gain control of the match after losing the opening game. He quickly built a substantial lead in the second game but from 7-1 up he had to withstand a sustained fightback from Barker before drawing level. 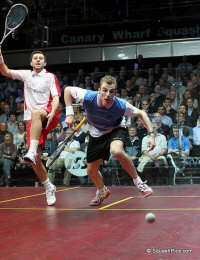 He stayed in front throughout the third but Barker launched another massive onslaught in the fourth to win it 11-9. 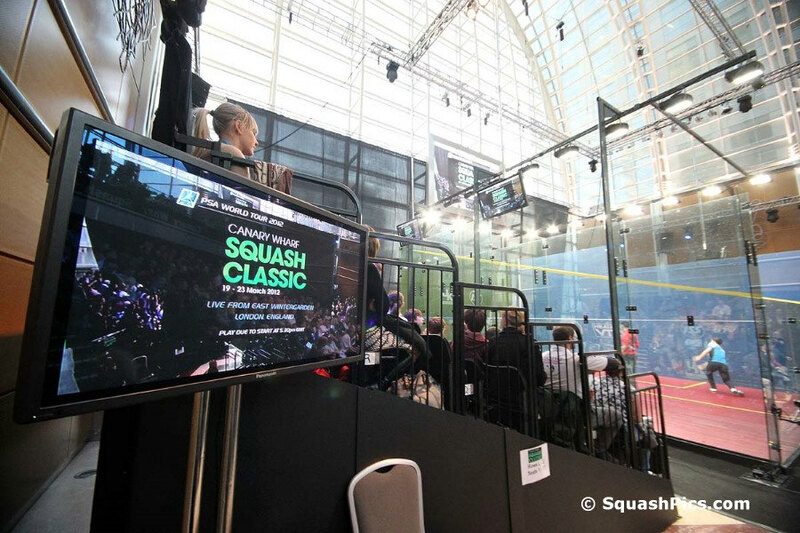 The crowd were willing the Essex player to maintain that form in the fifth but Matthew showed class and composure to power ahead from 3-3 to win the match without dropping another point. 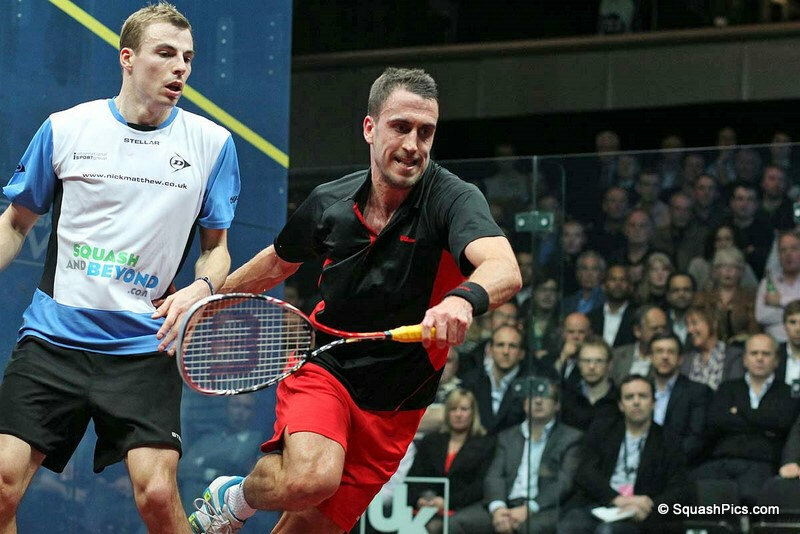 “There are very fine lines between winning and losing and Peter came out strongly in the first game, like he always does. 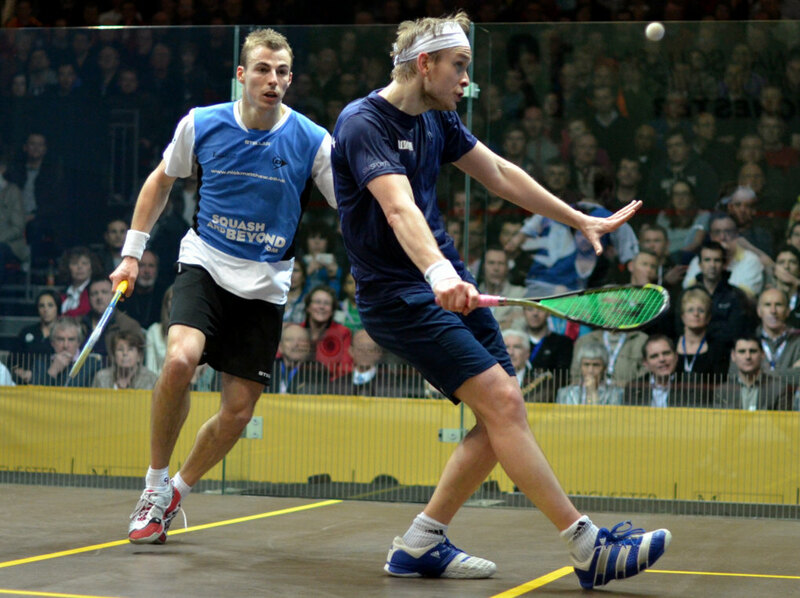 He did the same in last year's final and I was very pleased and relieved to get through. 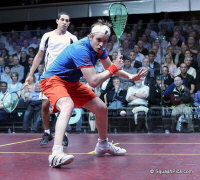 Willstrop began solidly against a nervous-looking opponent. 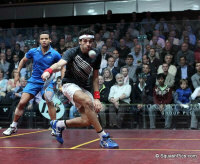 Shorbagy, the 21-year-old world number eight from Alexandria, struggled to find his rhythm but after losing the first game he stepped up a gear to win the second. He mixed powerful drives and volleys with some adventurous angles and a creative touch at the front of the court. 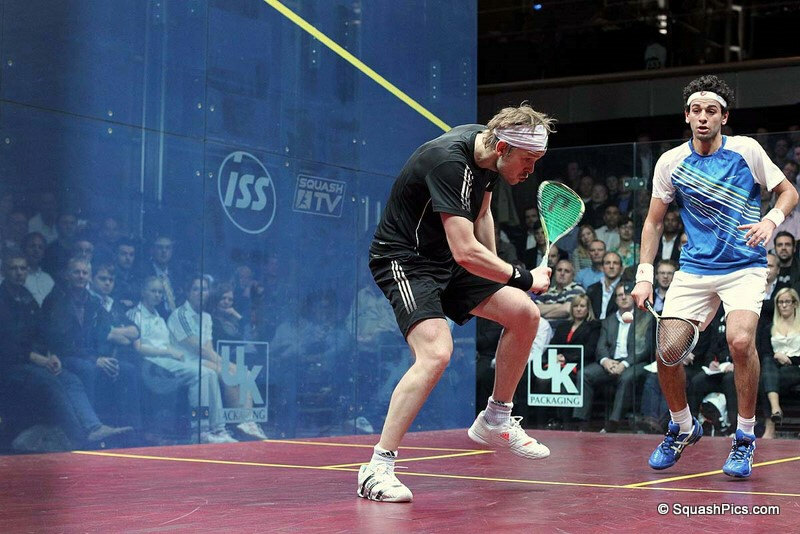 Willstrop then stamped his authority on the match, imposing a disciplined framework that eventually strangled Shorbagy’s attacking opportunities after some phenomenal rallies requiring immense physical commitment. 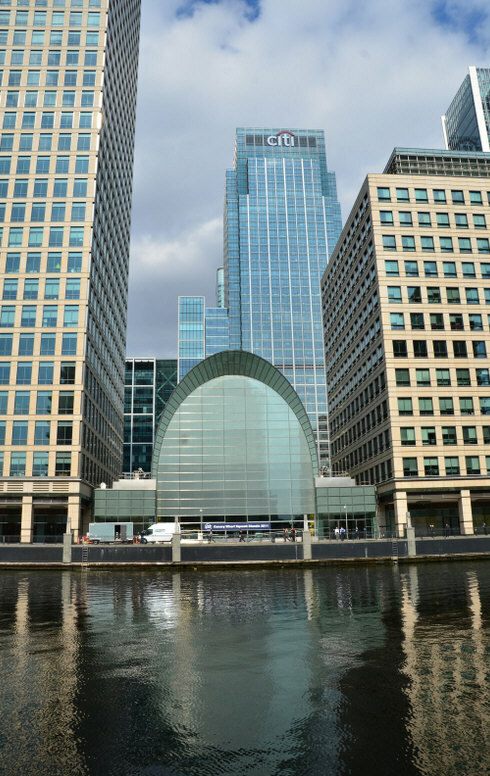 The Leeds-based Willstrop, who has won three Canary Wharf titles, controlled the third and fourth games and moved to match ball with a floated length that Shorbagy failed to scrape off the side-wall. 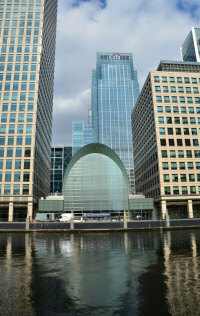 That one shot illustrated Willstrop’s dominance as he advanced to his fifth Canary Wharf final. 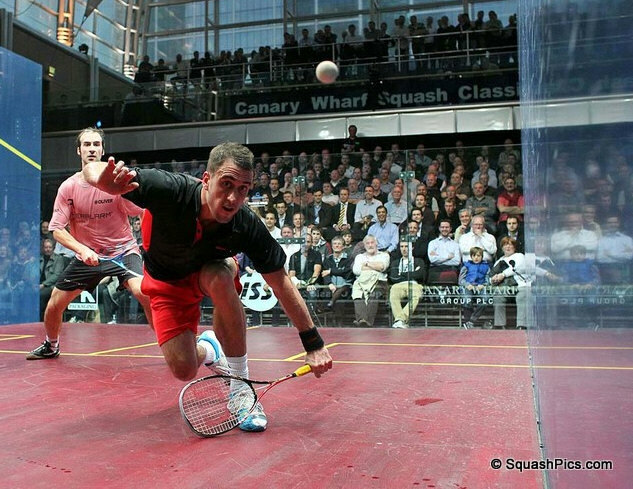 “Shorbagy has so many different ways of attacking you. He has won two World Junior Open titles and has moved into the top eight in the world, which shows how quickly he has adapted to the playing at the highest level. Willstrop’s day had begun with a BBC Radio Four interview on the Today programme, where he spoke about his recently-published book, Shot And A Ghost, and squash’s bid for a place in the 2020 Olympics. 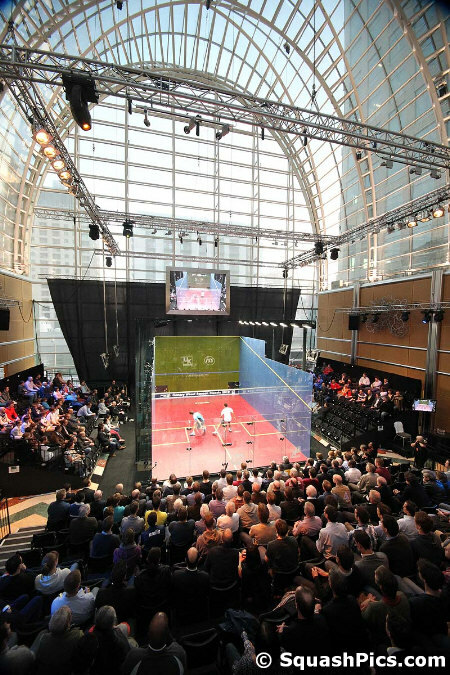 “Tournaments like these, in a fantastic venue and with capacity crowds all week, showcase what a brilliant product we have, one which is absolutely perfect for the Olympic Games. 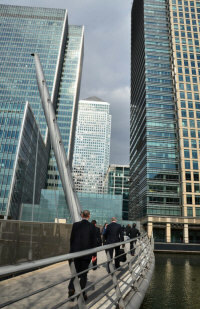 “The improvements in the TV production are superb, and it is bitterly disappointing that we are not to be involved in the 2012 or 2016 Games. 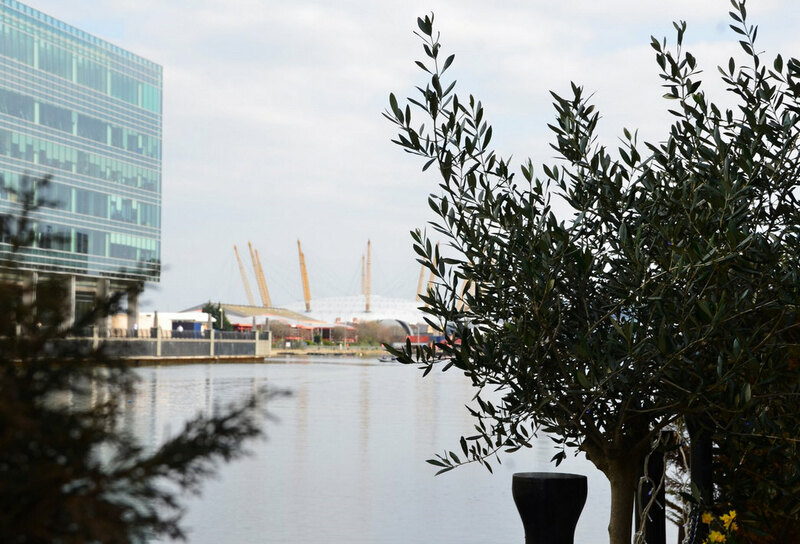 “Our tournament hotel is in Stratford, right next to the Olympic Park, and that makes it even more galling for us. World champion Matthew and world number one Willstrop will meet for the third time this year – all of them finals - with Matthew winning both marathon encounters in New York and Manchester. Matthew holds an astonishing psychological advantage, having won their last 19 matches. 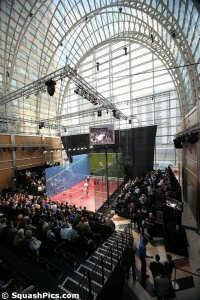 Willstrop’s last victory was in the 2007 final of the English Open in Matthew’s home city of Sheffield. 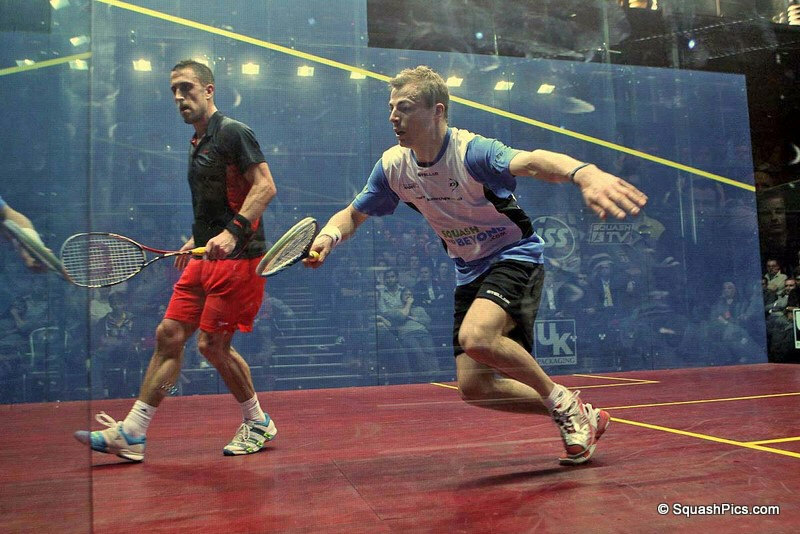 "Peter was the better player tonight, I got a bit lucky in the end" stated Nick at the end of the match. Well, I wouldn't go that far Nick, but it is true that Peter played like a man on a mission. I've noticed that often, players coming back from injury are just so hungry, so happy to be able to play again. About the match, well, it was a brutal match, played by two respectful players, but that didn't give each other anything for free! "I'm relieved", said Nick at the end. You bet. Now, for James v Baggy... 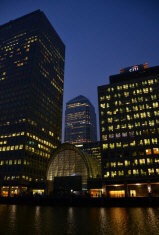 The Egyptian had to take James out of his comfort zone, and couldn't do it well enough. He did push the world number one in the second, but James never panicked, and kept on with the patience, the accuracy, and the stunning shot selection. James showed tonight why he is at the top of the game tonight, controlling and absorbing one of the most talented coming up players of the moment. Will you be watching? We'll certainly will. Good afternoon everyone. 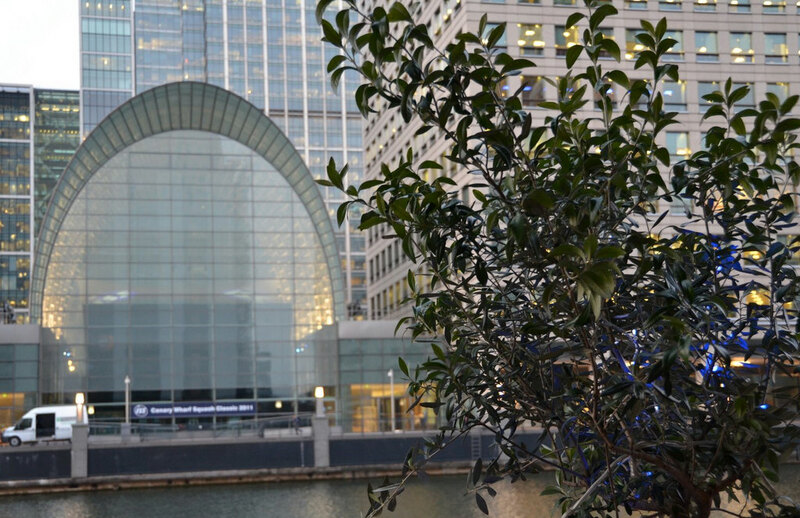 We have reached semi-finals day and once again Canary Wharf is bathed in sunshine ahead of two momentous battles on court in the East Wintergarden this evening. 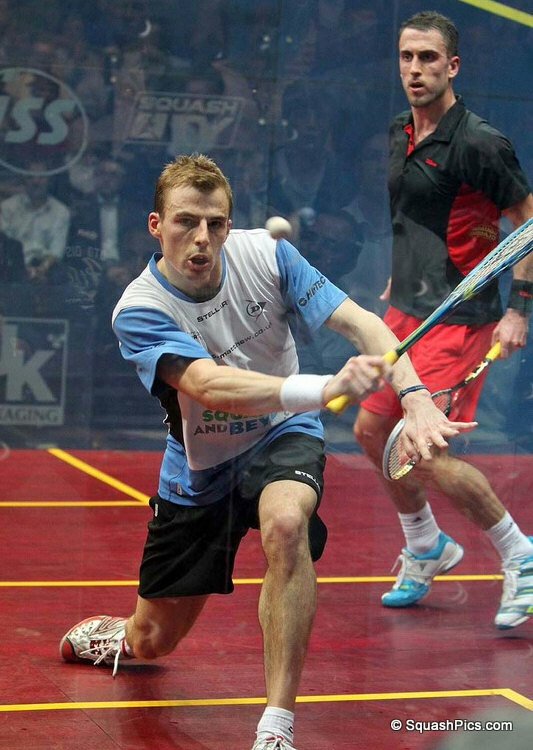 First of all, world champion Nick Matthew faces Peter Barker in a repeat of last year's final. Both players have recently overcome injury problems, Barker with a knee problem and Matthew with a slight hamstring tear. In many way, returning from an injury break, mentally refreshed and keen to get back on court, can provide a massive stimulus. It's almost like starting the season all over again. 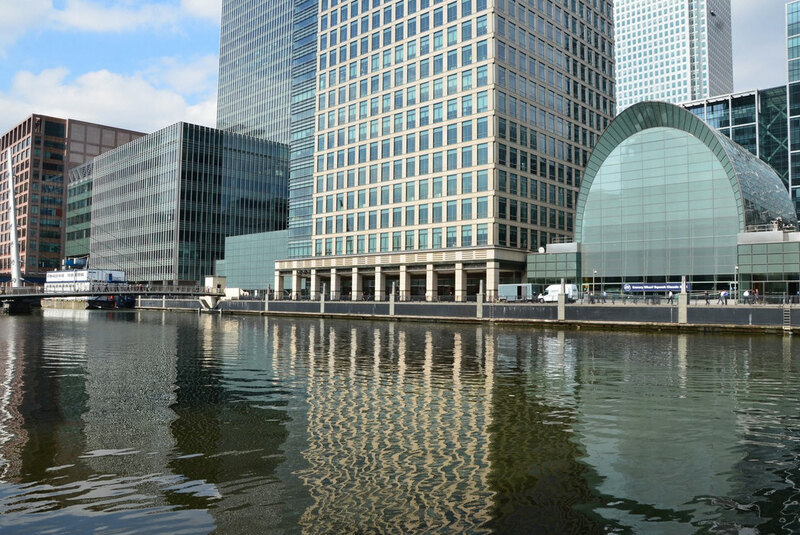 Matthew immediately returned to peak form by beating James Willstrop in the finals of the Tournament of Champions in New York and the British Nationals in Manchester. 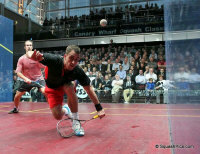 However, some doubts clearly crept into his mind as he struggled to hit peak form in the North American Open. Hence his admission during last night's on-court interview that he was not worrying too much about tactics and relying instead on his finely-tuned instincts and years of experience of winning at the highest level. For Barker, the relief of avoiding surgery following a mix-up of the scans on his injured knee, and the success of his subsequent strengthening and balance exercises, has resulted in him claiming to feel in better shape than at any time in his career. He will need to show that physical improvement against Matthew this evening, patiently building rallies and trying to avoid the kind of loose ball that Matthew likes to jump on with his high-tempo volleying on both sides of the court. 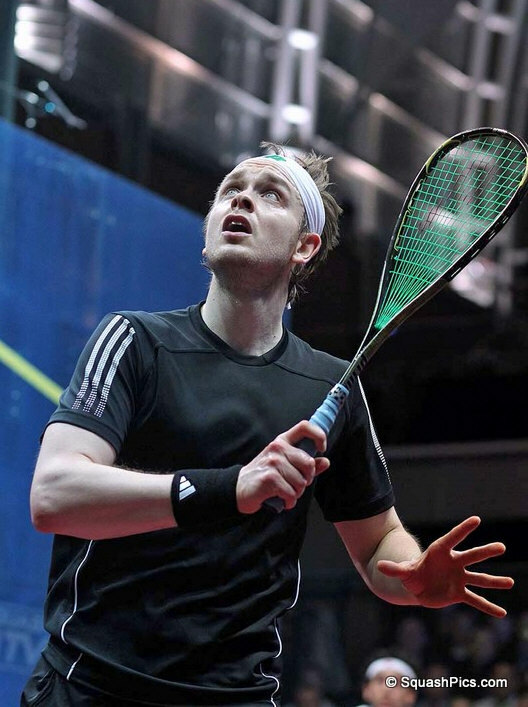 With the temperatures so warm, and the court correspondingly hotter than usual, expect plenty of long rallies, with Barker having plenty in the tank after two quick victories in straight games against Mark Krajcsak and Simon Rosner. 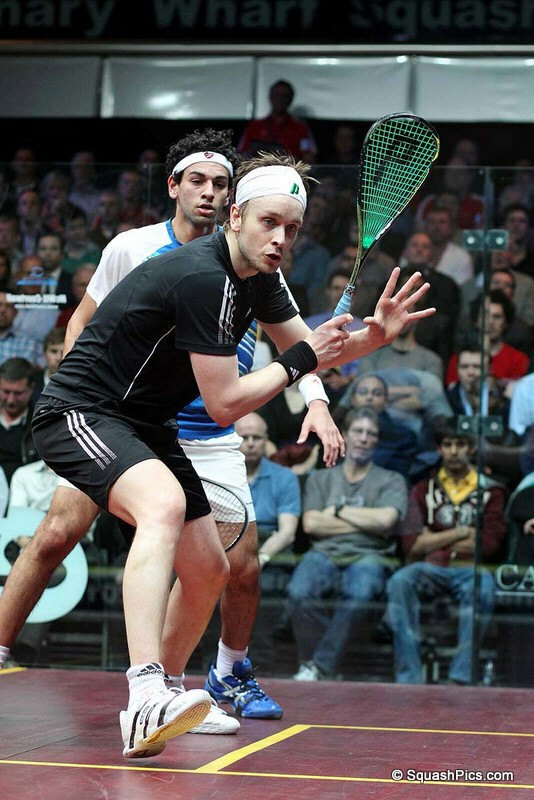 Matthew also enjoyed a straight-games victory last night against England team-mate Daryl Selby, but that took 65 minutes to complete, exactly the same length of time as Willstrop required to see off the spirited and high-quality challenge from Tarek Momen before squeezing home 11-9 in the fifth. That statistic alone reflected the brevity of many of the rallies as Momen attacked his tall and powerfully-built opponent. 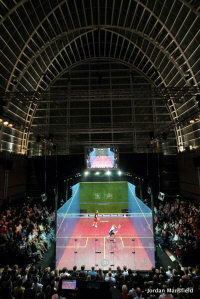 It was like David and Goliath re-enacted on a squash court. From flying over head volley nicks to sliced backhand drops from behind the service box, Momen was able to find those narrow areas of the court beyond the reach of the tallest man on the tour. 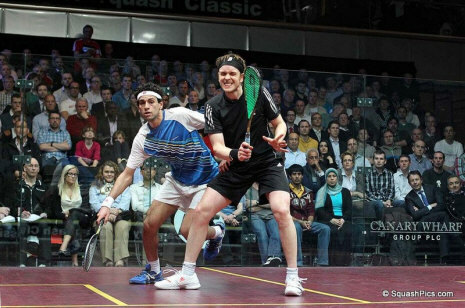 Following an 84-minute marathon to quell the unstoppable resistance of Saurav Ghosal in the first round, Willstrop has now been on court for 149 minutes in his two matches against two of the fastest men in the game. 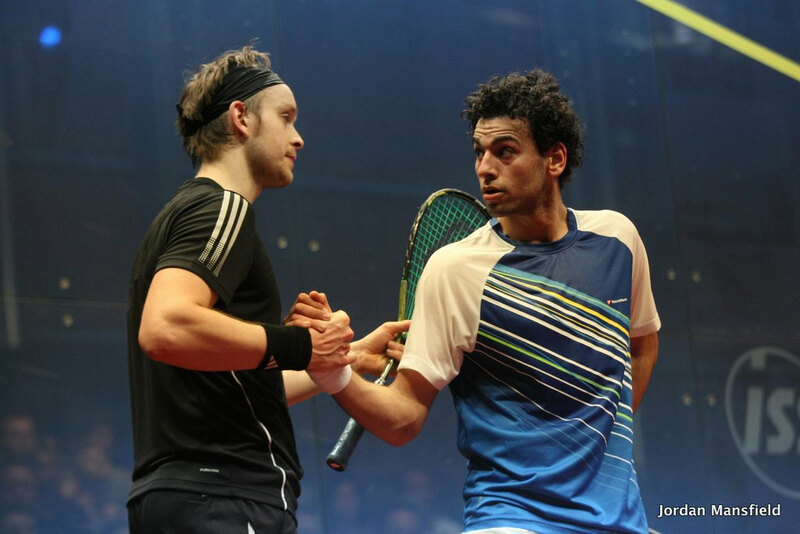 His semi-final opponent is another Egyptian, Mohamed El Shorbagy, who provides a dramatic contrast in physique to his two earlier opponents. 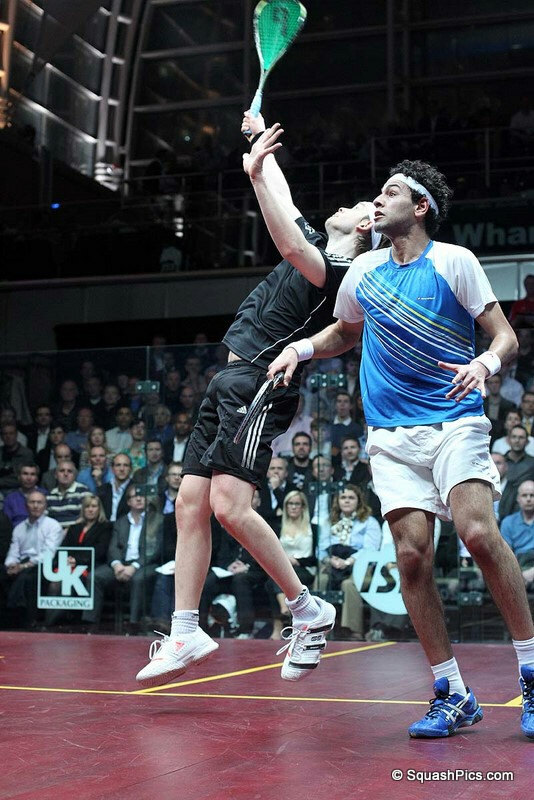 At 6ft 1in tall and with the broad shoulders expected of a former competitive swimmer, Shorbagy has required just 68 minutes to dismiss the challenges of wild card Joe Lee and Adrian Grant. Willstrop will not have been physically exhausted by those two matches. 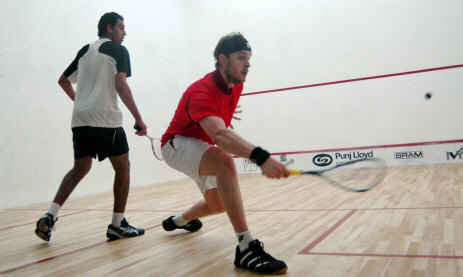 In fact, his new-found playing style and status as world number one suggests that he relishes them. (Just look at how he dominates Gregory Gaultier these days at the business end of matches that frequently last more than 90 minutes). 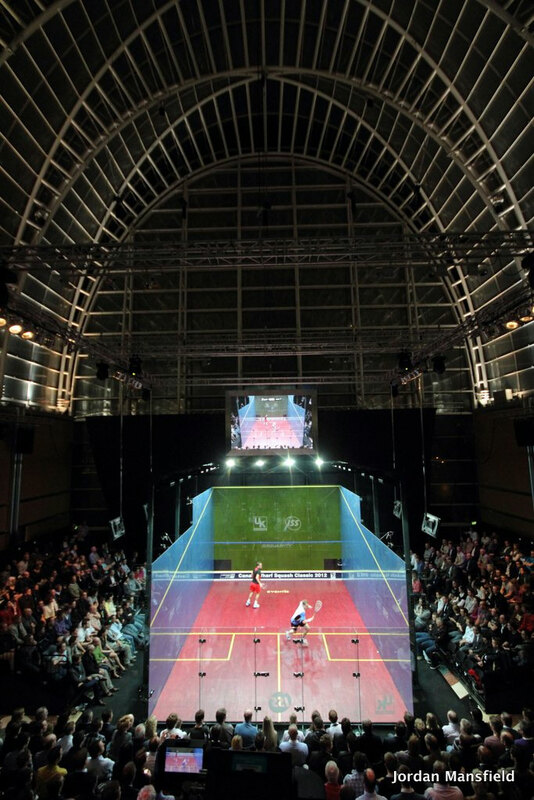 However, he knows that the relentless retrieving of Ghosal and the quick-fire winners slotted home by Momen will have given enormous encouragement to Shorbagy as the 21-year-old Bristol University student bids to stop an all-English final. Shorbagy loves to step up the pace and hits the ball with enormous ferocity. 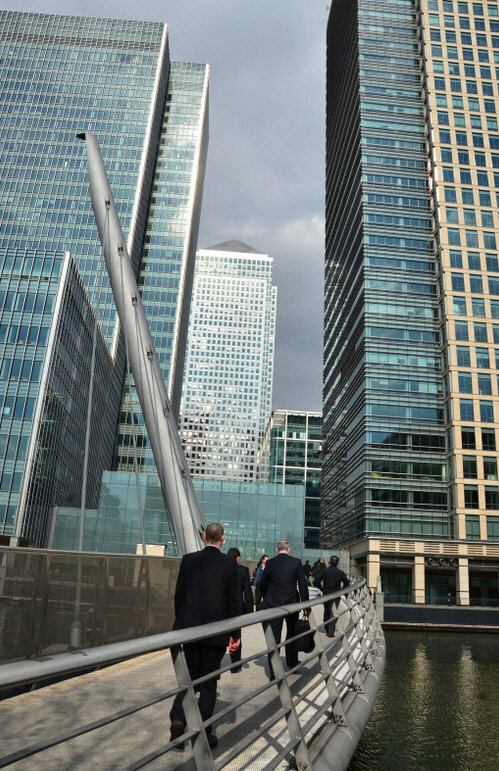 Perhaps Willstrop knows what to expect and will feel more comfortable containing that type of attack in contrast to the two cat-and-mouse affairs he has managed to negotiate so far. His awareness of the requirements necessary to bring home the big trophies has finally been embedded in his subconscious and the mental discipline required to keep the ball straight and glued to the side wall is an object lesson for players of all abilities. Intelligent lobs have replaced the occasionally weak crosscourt drive, and his ability to finish rallies with soft drops and volley drops provides the coup de grace. 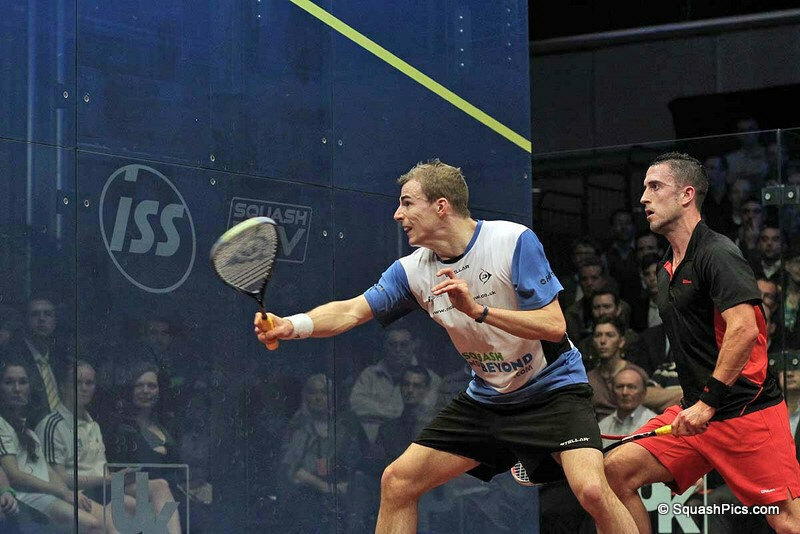 Like Peter Nicol before him, there's nothing flash. 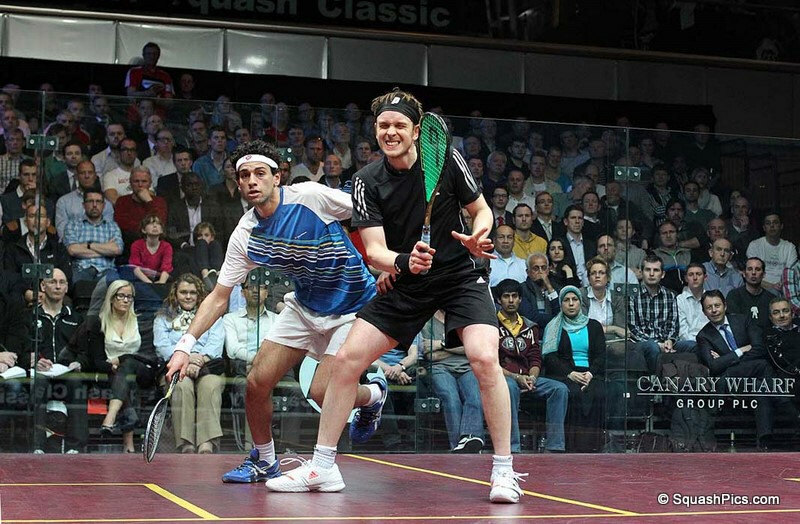 There doesn't need to be when you are able to play such controlled, measured squash. 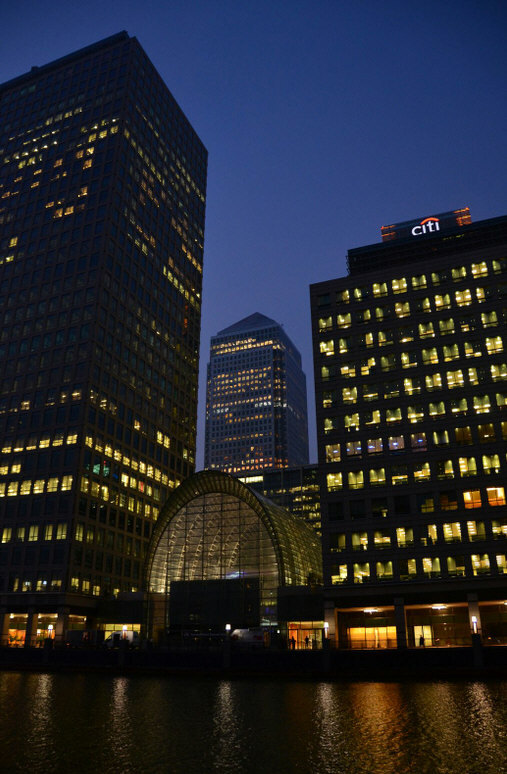 After two shocks to the system, it will be fascinating to see how Willstrop responds. Likewise in the other semi-final, Barker will have sensed a degree of uncertainty in Matthew's recent form and will be keen to make some inroads into changing a head-to-head tally of 14-1 in Matthew's favour. It promises to be a wonderful evening of squash from four tremendous athletes. I hope the sell-out audience includes some London Olympic staff members who are certain to be treated to an evening of high-quality athletic drama that deserves to be showcased on the ultimate sporting stage.